Enjoy original music for both listening and the liturgy in this musical invitation to wait for the Lord from Tom Booth. Combining rock, pop, jazz, reggae, gospel, praise and choral styles, Find Us Ready offers 13 original songs for both listening and the liturgy. 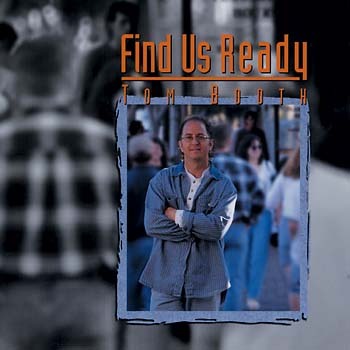 With songs for Advent, Lent, confirmation and retreats as well as psalm settings and selected Mass parts, the collection also includes the original version of Tom's "I Will Choose Christ," which was recorded by Kathy Troccoli and captured the number one spot on Christian radio stations across the country. Backed by a veritable orchestra of supporting musicians and vocalists, Find Us Ready lists more than 40 contributors in the liner notes, including Cyprian Consiglio, John Pennington and Carl Hergesell!